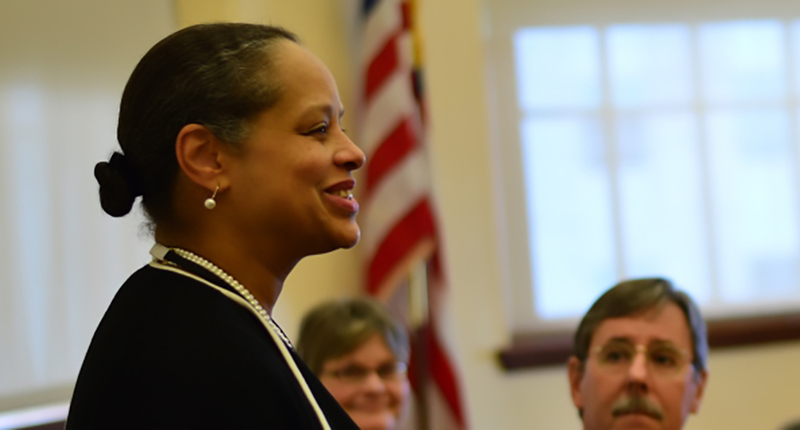 Rep. Rachel Talbot-Ross (D – Portland) told Maine Public last week that the founding of America was a “hate crime.” Photo courtesy Maine Legislature website. AUGUSTA – When Maine celebrates Independence Day on the Fourth of July each year with fireworks, a parade or a cook out, are we celebrating a hate crime? One State Representative in Maine thinks so. The interview occurred during a segment from Maine Public talking about hate and prejudice in Maine, and what can be done. Jennifer Rooks, public affairs host and producer for Maine Public asked Rep. Talbot-Ross to give a background of the history of hate groups in Maine. “Rachel, I think many people would be surprised to know about the history of Maine, as far as active hate groups, can you give us a little background?” asked Rooks. Without any further explanation of how the founding of the United States was a hate crime, Talbot-Ross then went on to correctly describe slavery in America and Maine’s history as a home for the KKK, both dark stains on American history. Rooks, interviewing for MPBN, didn’t challenge the statement from Talbot-Ross, instead moving on to ask Professor Abraham Peck from the University of Southern Maine a question. The exchange with Talbot-Ross started at about the 3 minute mark in the interview which can be listened to by clicking here. The history of the founding of the United States and the first treaty signed by our newly founded country say something different. In 2013, the 126th Maine Legislature unanimously passed a Joint Resolution Sponsored by Rep. Henry Bear, representing the Maliseet people, that recognized the Treaty of Watertown of 1776. This was the first Treaty entered into by the fledgling United States Government and was signed by several Native American tribes that spanned what would eventually become known as the Canadian maritime provinces and New England. The Treaty of Watertown was a military alliance between the United States at the request of General George Washington, and the St. John’s Tribes, the Maliseets and the Passamaquoddy Tribe, and Mi’kmaq First Nations in Nova Scotia and 2 of the peoples of the Wabanaki Confederacy, according to official legislative documents. The representatives for the United States signed the treaty literally one day after the proclamation of the Declaration of Independence. Among other things the treaty delivered a strong message of alliance and friendship and a commitment on behalf of the Native American tribes to provide 600 strong men to fight alongside the Americans against Britain. “We like it well. We now see that America is right and Old England is wrong, and we will joint with you in this fight,” is how the Mi’kmaq and Maliseet delegates were said to have responded to the translation of the Treaty according to contemporary accounts. For a bit of light reading on The Treaty of Watertown and the early relationship between the United States government and regional Native American tribes, click here or here.